150 Students from Dubai’s Jumeirah College volunteered their time on the 11th year of the UNWTO World Responsible Tourism Day to clean up the Dubai desert whilst learning more about the local Bedouin’s connection to the desert along with their traditions, customs and cuisine. 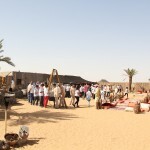 The activity was the brainchild of Platinum Heritage Tourism, a Dubai based desert safari company specializing in authentic safari’s that showcase Dubai’s environmental and cultural heritage. 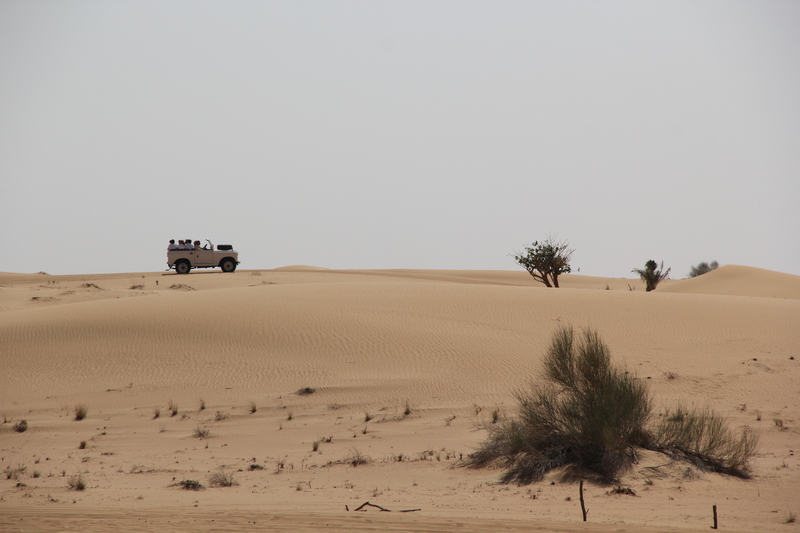 “The desert is such a fragile environment” says Adam McEwan, founder and Managing Director of Platinum Heritage. “The effects of dune bashing, litter and modern development has significantly endangered the flora and fauna of the desert. Unless we educate people about how we can reverse these effects, we may lose this environmental heritage forever. Students are the voices of the future and they have become our enthusiastic conservation warriors”. 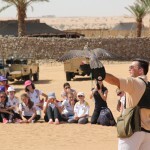 The Grade 8 students volunteered to clean up stray litter around the Dubai Desert Conservation Reserve before heading to a Bedouin styled camp to sample traditional Emirati food, learn about the importance of Falconry, the use of camels as well as viewing a local Yola Dance. According to Jumeriah College Principal Simon O’Connor, “We are committed to supporting our students in the development of their understanding of the importance of global sustainability. There is no better way of galvanising this than to give them the opportunity to engage directly in a programme of this nature. The desert clean up and ecological enrichment programme is just such an initiative and our students are excited to be part of this as their individual efforts will collectively help to create a significant impact at a local sustainable level”. The aim of World Responsible Tourism Day is to encourage tourism operators to care about their local communities and culture as well as wildlife conservation and the environment. The World Travel Market is the global stage to promote responsible tourism with this year’s event running from November 3-6, 2014 in London, England. 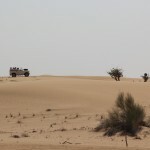 About Platinum Heritage: Platinum Heritage is an award winning Dubai desert safari provider. 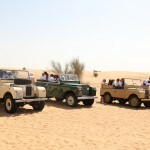 Taking guests back to the Dubai of yesteryear, Platinum Heritage conducts wildlife safaris with their collection of vintage 1950’s Land Rovers. Donating proceeds from every guest towards local conservation efforts, Platinum Heritage is committed to protecting the rich desert eco-system whilst showcasing Bedouin history and culture. Visit www.platinum-heritage.com to discover more.